Go Bruins! 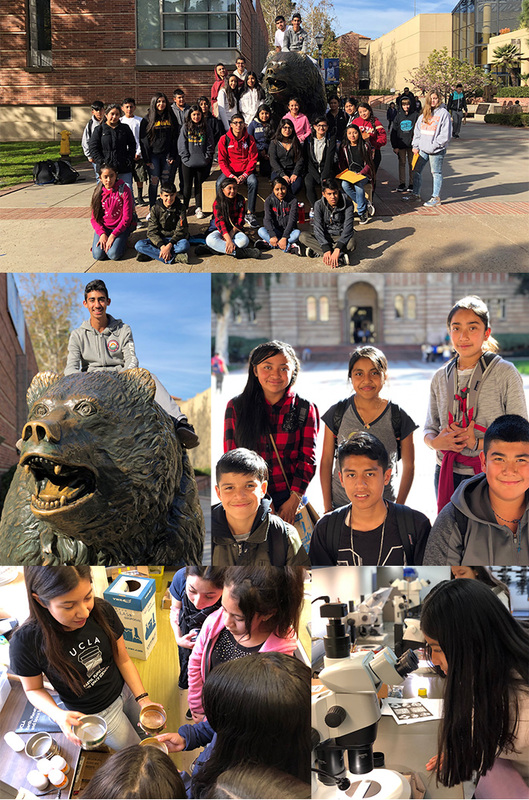 Through PSHH's College Club, 29 Central Coast students had the opportunity to tour UCLA this past weekend to check out iconic campus hot spots like Powell Library, Royce Hall, Janss Steps and Bruin Plaza. The students were most interested in the Geology Dept's research on climate change and UCLA Hall of Famers Bill Walton and Kareem Abdul-Jabbar. Lend your support to educational programs like College Club at www.pshhc.org/giving today!